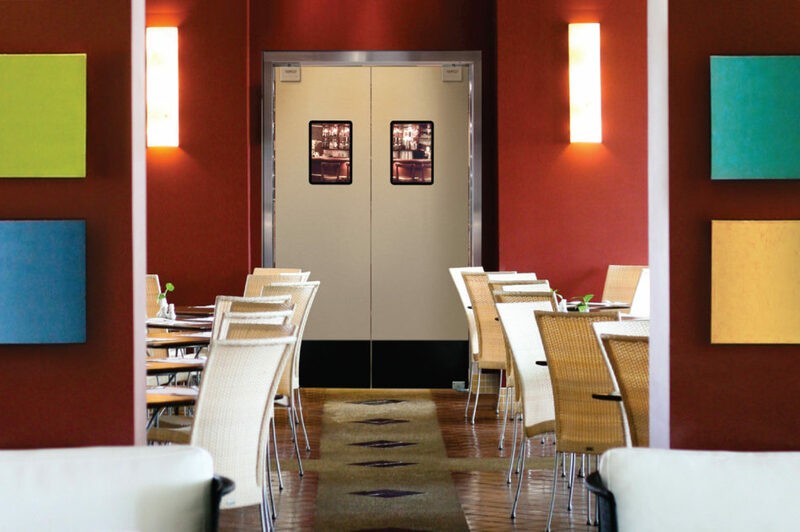 The new SCP-12 from Eliason offers great looks at an economical price and allows for countless decorative high pressure laminate choices so that you can create the look that is just right for your décor. 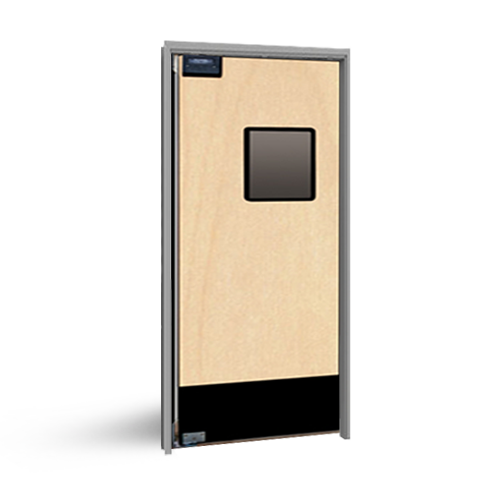 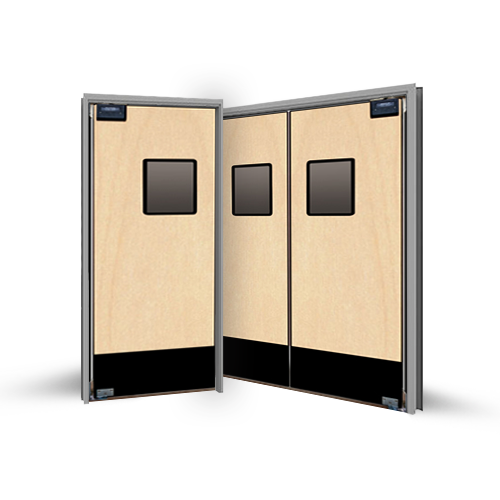 The door body has a ¾” wood core with full height high pressure laminate adhered to both sides. 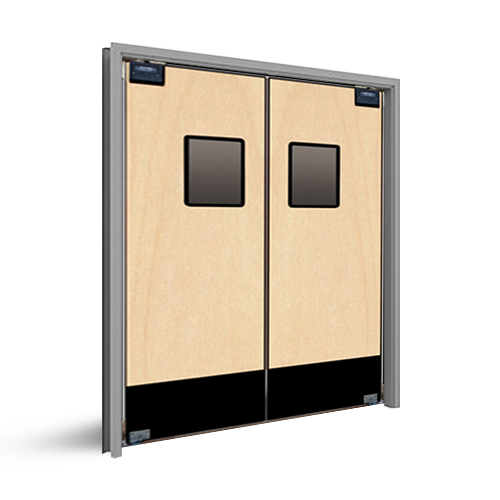 The black PVC perimeter edge molding, flush vision panels and 8” high black ABS scuff plates provide a very sleek and classic look.